I love jerk. Not jerks, jerk, as in seasoning. 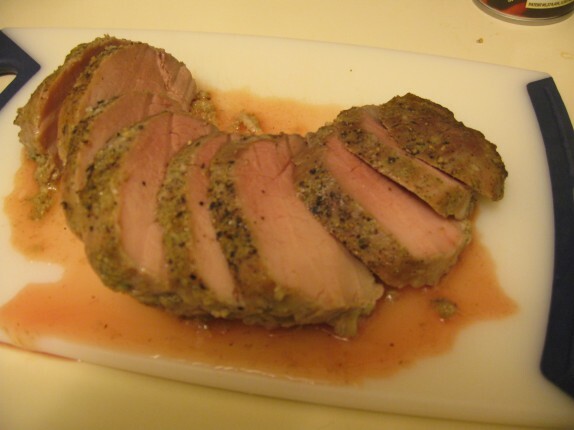 I took the internet apart looking for jerk recipes, and I didn’t find anything that I wanted to try. I took a lot of inspiration and came up with my own seasoning. I basically made it my own by eyeballing everything and adjusting the taste at the end. When I went shopping, I started the conception of this with the purchase of meat. 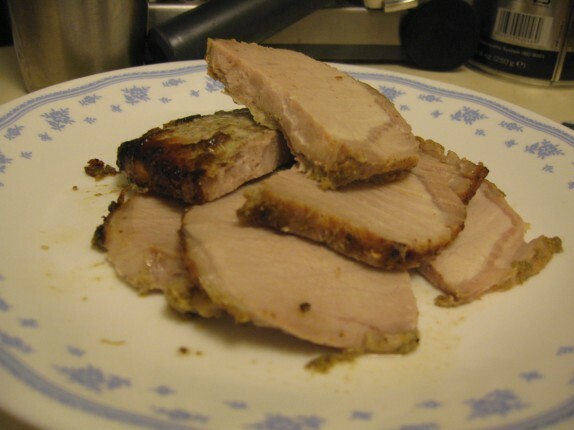 I bought a 4 pound pork loin roast to bathe in jerk seasoning (for under $10), and they also had packets of pork tenderloin buy one, get one free. I went with the mindset that the roast would be for me and the tenderloin would be for Cassie (who dislikes spicy foods). So here’s (approximately) how I made the marinade. 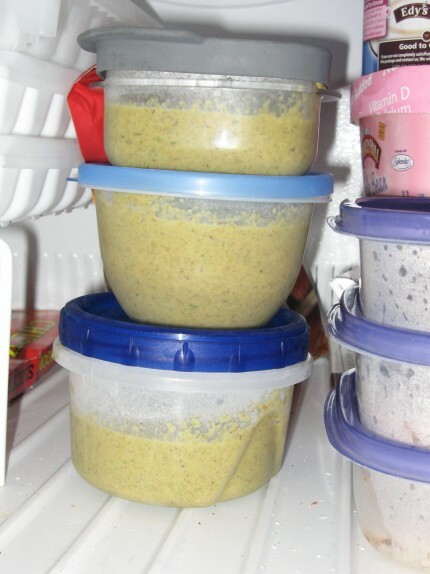 Put everything into a blender or food processor and mix. It should be about the consistency of pudding. If it’s too thick, add more oil. [I combined everything except the habaneros, removed about 1 cup – for Cassie’s pork – and then whizzed the remaining marinade with the habaneros] Marinate pork with a good coating of marinade. One day is good; two days is better. 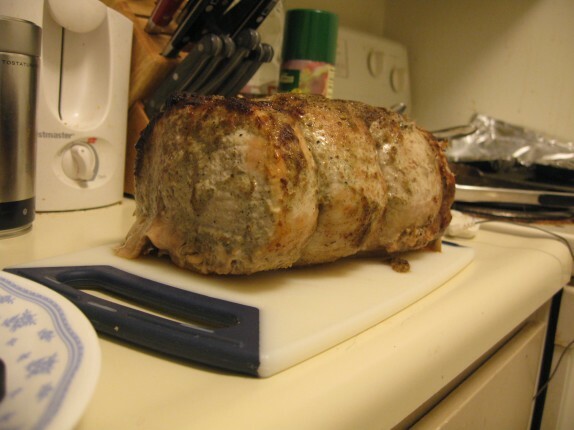 Start oven at 450 °F and cook pork for 10 minutes. Without opening the oven, back the temperature down to 275 °F and cook until the internal temperature reaches 155 °F. 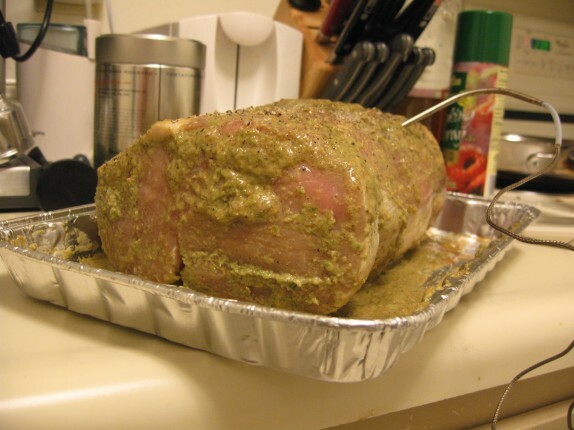 Wrap in foil, and allow meat to rest. 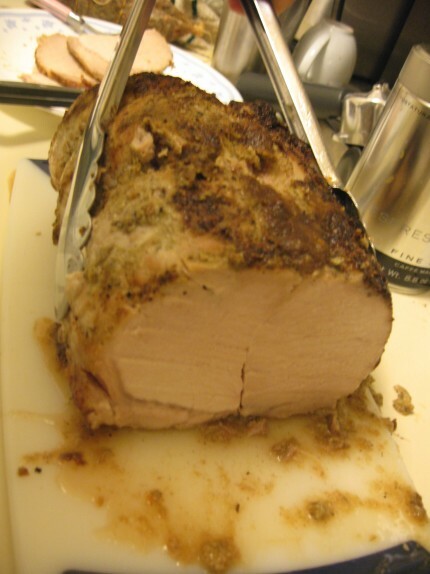 The pork loin was rather thick and, while the outsides took to the marinade very well, the bulk of the pork just didn’t pick up much of the flavor. It was also pretty lean, so I don’t think there was enough fat to meld with the marinade. It was rather mild (about a 4/10 on my scale), so I’d add more habanero next time. The tenderloin came out great. That cut took to the marinade very well. Ohh well. Now I have three more goes at it. Next time I’m definitely going with a much fattier cut of meat; I’m thinking either pork shoulder or maybe some chicken wings. 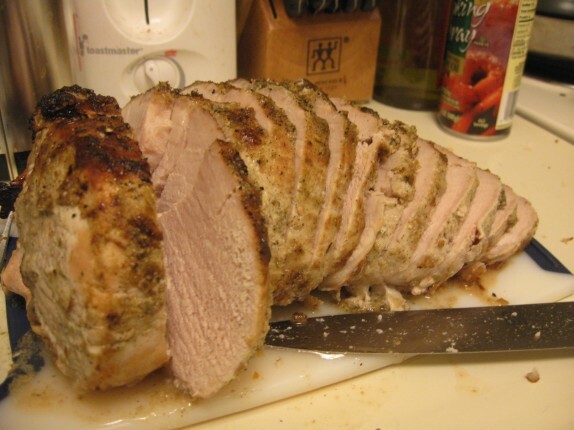 Oh, and next time I make the marinade, I’m using fresh thyme, and a whole lot more than I did this time.